Brand new alpine white BMW 550i F10 sedan, less than a week old. 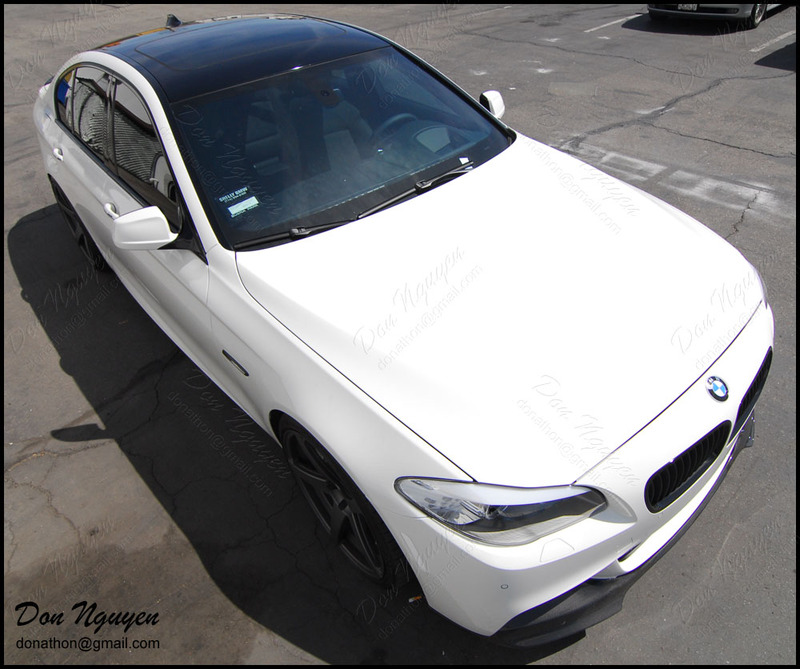 The owner of this car had me vinyl wrap the roof of his F10 in gloss black including the side roof rails on his car. The antenna was painted gloss jet black to match the roof. This car came out to me to from Buena Park area to Anaheim Hills/Orange County to get the work done. I think the gloss black roof really suited this bigger body car very well, especially with the black trunk spoiler and darker gunmetal wheels. 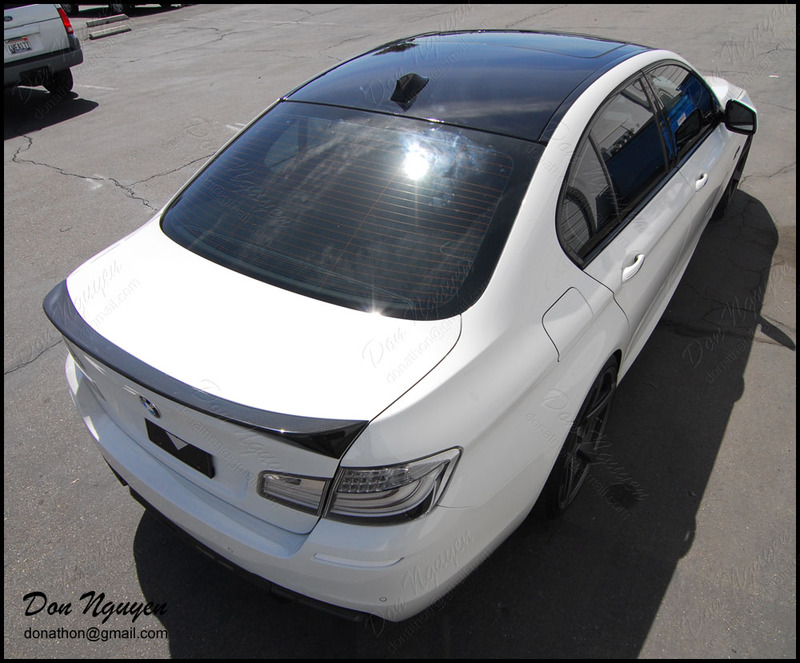 The car came with the sport package factory shadowline trim from the factory already, so that match fairly well with the roof as well.